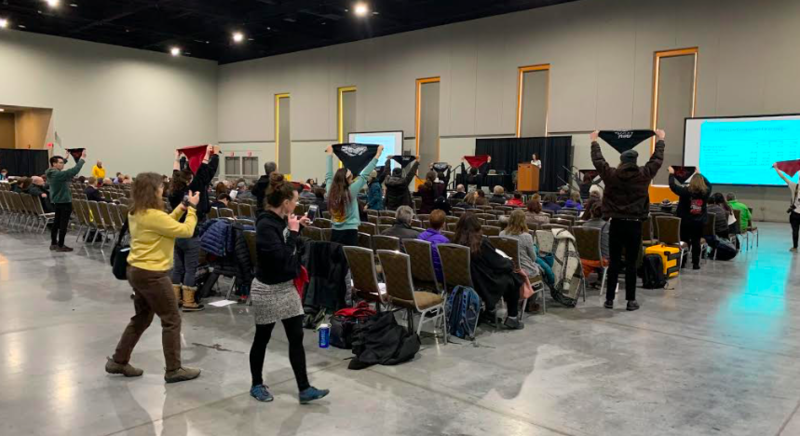 After activists hijacked the last Department of Interior (DOI) ANWR public comment meeting in Fairbanks last week, DOI altered the meeting structure, giving people the opportunity to give testimony to everyone at once. Unsurprisingly, eco-groups took advantage of this change to grandstand at length in front of DOI and Bureau of Land Management (BLM) leadership to push their extreme environmental agenda. While proponents of responsible energy development, including Rick Whitbeck, Power The Future’s Alaska State Director, spoke respectfully for short time periods averaging less than four minutes, opponents rambled for nearly ten minutes per speaker. Self-awareness about how many people wanted to testify was in short supply among the radical environmentalists. The proponents of energy development highlighted the jobs that would be created and how it would strengthen America’s energy dominance by increasing our oil and gas reserves. We also noted how just a small portion of ANWR would be developed (only 200 acres out of 19,000). When Inupiat Eskimo members spoke – with their villages and land being the only ones directly impacted by oil and gas development should it be ultimately allowed in the 1002 section – they near-unanimously spoke in favor of development, of how the oil and gas companies working elsewhere on Inupiat land have treated their communities with respect and how, because of oil and gas, their schools, medical facilities and villages have first-world resources. Ultimately, this series of public meetings is only one step in the process of deciding when and where to drill in the 1002 section of ANWR. Power The Future will continue to help keep the dialogue alive and advocate for jobs for the Inupiat and others, as well as the advancement of America’s emerging energy dominance.